Dr. Leonard Mazza is a chiropractor with over 25 years of professional experience, as well as a passion for helping adults & children achieve healthier lives. 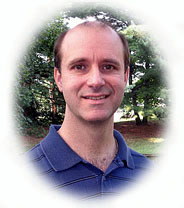 He owned and operated the Chiropractic LifeCenter, a private practice in Franklin Park, New Jersey, for 16 years before relocating to the Gettysburg area in January of 2006. Dr. Mazza is a graduate of Cook College/ Rutgers University in New Brunswick, New Jersey (B.S. Forestry, 1982) and Sherman College of Straight Chiropractic in Spartanburg, South Carolina (Doctor of Chiropractic, 1986). Dr. Mazza served on the Board of Trustees of Sherman College of Straight Chiropractic from 1993 until 2005, and served as vice chairman from 2002 to 2005. He has also served as a member of the Board of Trustees for the Federation of Straight Chiropractic, a national chiropractic society, and the Garden State Chiropractic Society, a state-level organization in New Jersey. In the summer of 2001, he and his wife Lorraine rode their bicycles across the United States to raise funds for the Berkowitz Scholarship, which they founded to offset the high cost of chiropractic education. Applicants must demonstrate a history of community service in order to be eligible. To learn more about Sherman College of Straight Chiropractic and the Berkowitz Scholarship Fund, click here. To arrange an appointment, call (717) 334-4481. Why Should Your Family Use Chiropractic? Copyright © 2018 Alliance Chiropractic Wellness Center. All rights reserved.